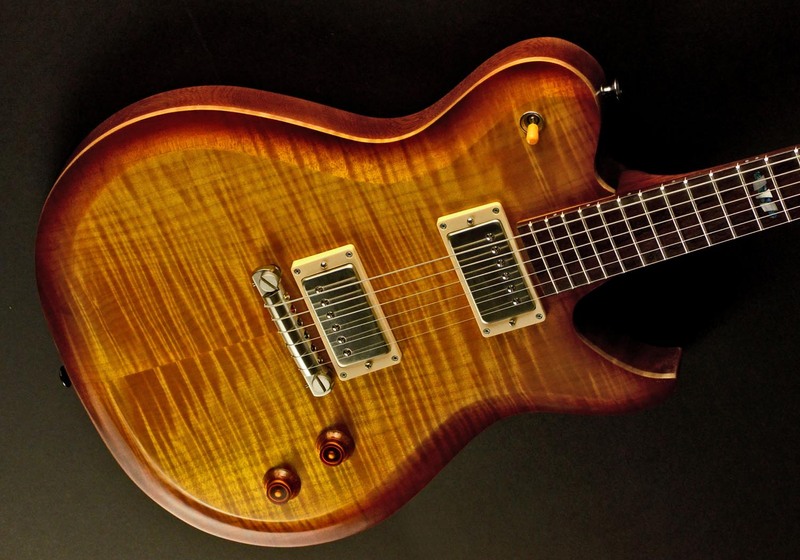 The Tulsa model is a perfect blend of long scale shimmer and short scale grunt. Jol envisioned a guitar that would be comfortable to play for Tele and Strat lovers who wanted a little of that Les Paul muscle without sacrificing their rhythm sound. For Gibson players, the Tulsa will step your tone into new areas and still feel like an old friend. Standard inlays are your choice of 12th fret, seven piece pearl and abalone “Claw” or pearl dots. Available with a wide variety of options.